InDesign offers some really helpful text editing features. this tip is mostly about working with the most pesky of text issues — overset text — text that falls outside the frame. 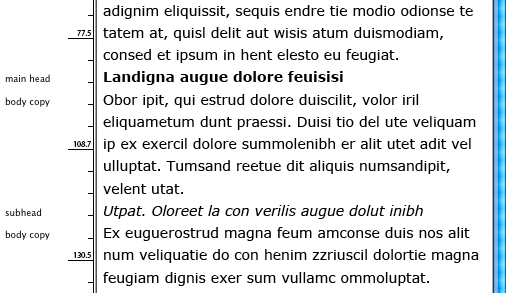 notice that the words, lines and paragraphs counts include partially selected elements — that is, for example, you do not have to select a whole word for it to be included in the count. the figures before the ‘+’ are for everything visible, the figures after are for the overset portion. so this story has 138 overset words. 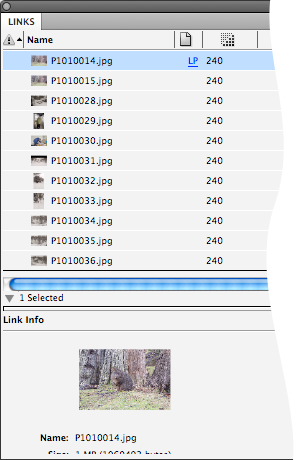 notice that InDesign doesn’t know how to determine how many lines that is. 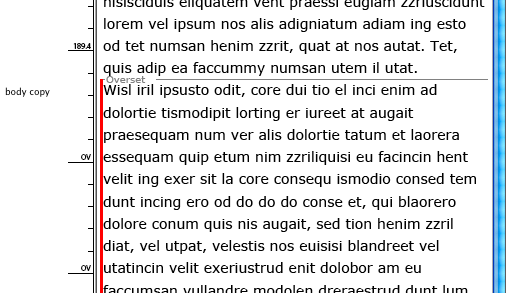 story editor windows are especially good for editing lots of tiny text without having to continually zoom in and out of your page. select a whole bunch of caption frames, hit command-y and you’ll get a whole bunch of story editor windows. 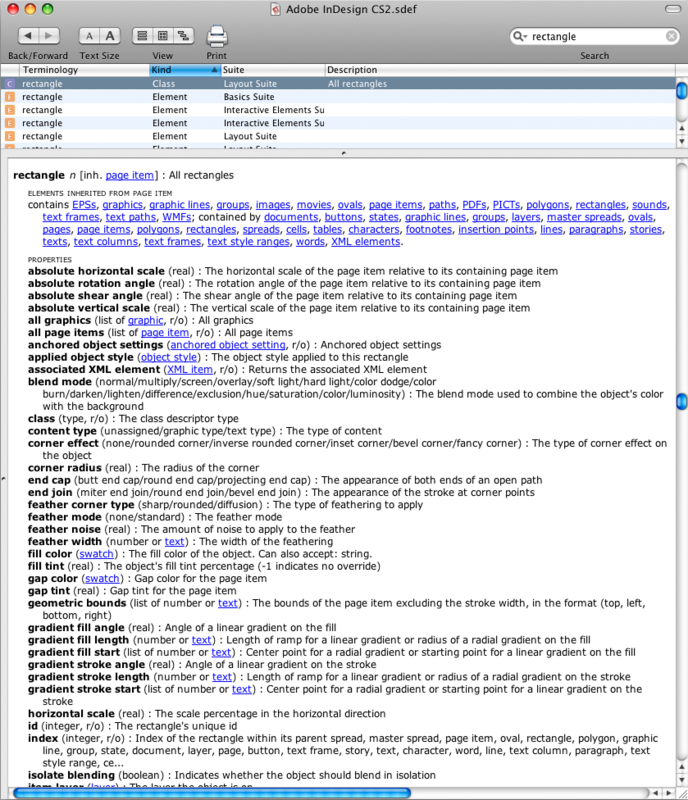 if you can’t see that left-hand column that shows the paragraph styles go to : view > story editor > show style name column. scroll down your story editor window and you’ll see that the overset portion is clearly marked. these overset markers are updated instantly as you edit text in the window. this is much easier than mucking about with creating and deleting superfluous text frames. really, try editing in the story editor, once you get started you’ll wonder how you ever coped without it. and you can play around with the story editor preferences (InDesign > Preferences > Story Editor Display) until you get an interface that suits. still not convinced? then check out Keith Gilbert’s Top Ten reasons to use the story editor feature. his claim that it is “one of the best features of InDesign” may be overstating it a bit. but it’s still a bloody handy tool.